Due to the recent Fed officials’ speech and the US employment data, the USD is acting more powerful against the Japanese Yen. This pair is moving with bullish bias continuing the sudden growth of last week. 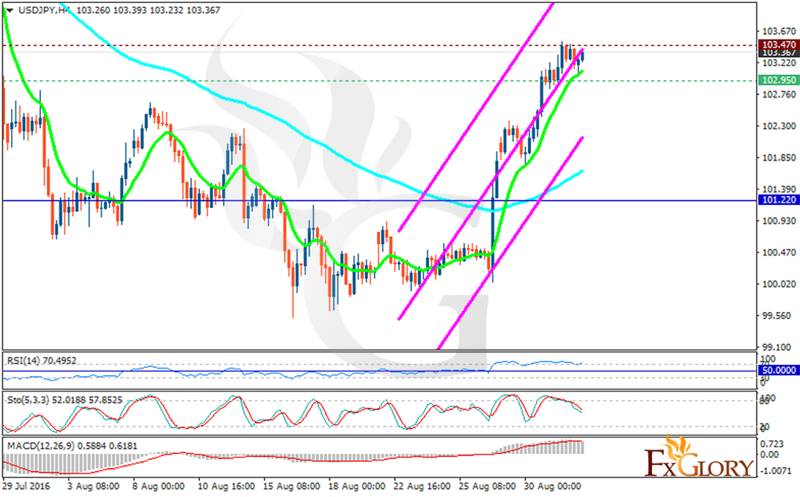 The support rests at 102.950 with resistance at 103.470 which both lines are above the weekly pivot point at 101.220. The EMA of 10 is moving with bullish bias and it is crossing the EMA of 100. The RSI is moving on overbought area, the Stochastic is reached the maximum rate and is showing downward momentum and the MACD indicator is in positive territory. The pair may rise to 103.500 however there will be pullbacks soon towards 102 area.